We ate our last meal in Africa at a hotel near the airport in Entebbe where we interviewed Herbert. This was the only time the whole trip that we got to order individually. I found it interesting that although there were more “American” foods on the menu than we were usually used to (like sandwiches for example), most of us ordered rice and chicken or fish and chapatti. It was at this point (while watching a terribly dubbed television show with poor acting that seemed to be about Native Americans’ fight for North America, but included caucasian cowboys, Africans and Hispanics as well) that I noticed: I have no culture. I have beautiful traditions, inside jokes and things that will always remind me of home in Minnesota with my family, but I don’t have “a people.” I don’t have an elite language, a name that binds me to a group outside my immediate family (+ 2 uncles) and I don’t have a tribe. I have no tie to a certain place or specific ancestral origin. And interestingly enough, I am glad. Because I don’t have a culture, I get to live in awe. I feel like what I miss out on by not having a one, I gain through amazement and experiences. After arriving in Amsterdam the next morning with Joe, to visit my mom’s cousin, I had a bit of culture shock. 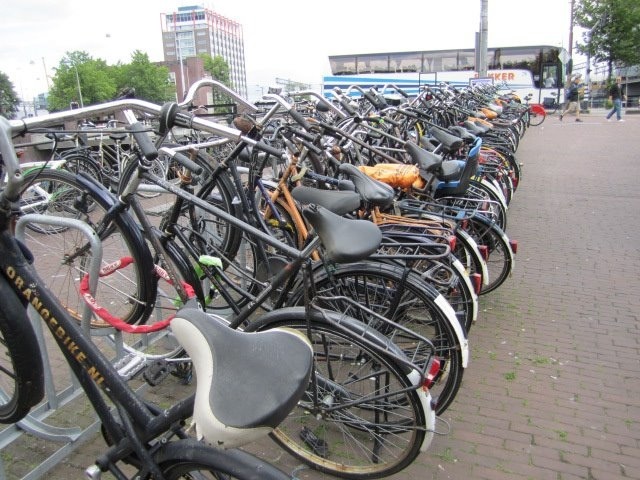 Probably the only similarly between Africa and Amsterdam is that people ride bikes everywhere. But Amsterdam was windy and freezing, full of sweet pastries and dairy and bursting with brand names and recent fashion trends; three things that I didn’t experience even slightly in Africa. I knew that it was advised that we not go there and that the transition on the way back from the developing world is harder than the transition on the way there. But I am so glad that I went. While in Amsterdam, I realized that even though culture is relative and changing constantly (evolving and developing as Sybil said), I am excited to shape my own. I am excited to live through other people’s cultures, classify myself as a mover and I am excited to continue to learn about the world with a minimal (if existent) cultural filter, anchor or mind block. My identity? Is Prater. Is Alison. Is Christian. Is caucasian. Is daughter of Scott and Cheryl. Is tall. Is all of my personal attributes. But it isn’t innately American. And doesn’t have to be. And I like that. 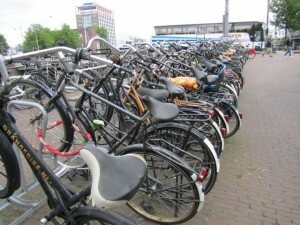 This is a picture of all the bikes in Amsterdam. The strongest tie that I had to Africa on my weekend pit-stop mid-transition back to the U.S.Here is a bike in Africa. They were always on the streets here too, but more often in Africa, you would see them parked alone.